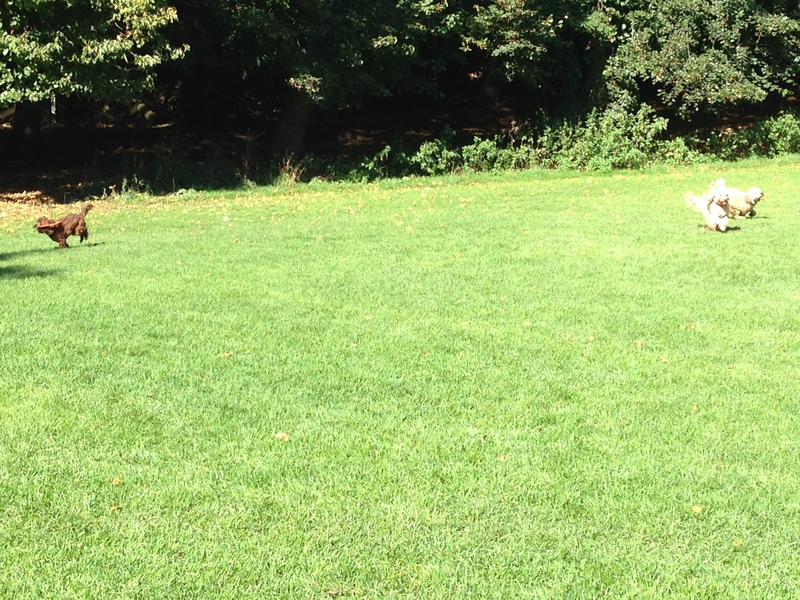 For a change today we went to Hampstead Heath. I’ve been here many times before with Heidi but Mummy doesn’t really know the park, so it was good that we met up with Rusty. 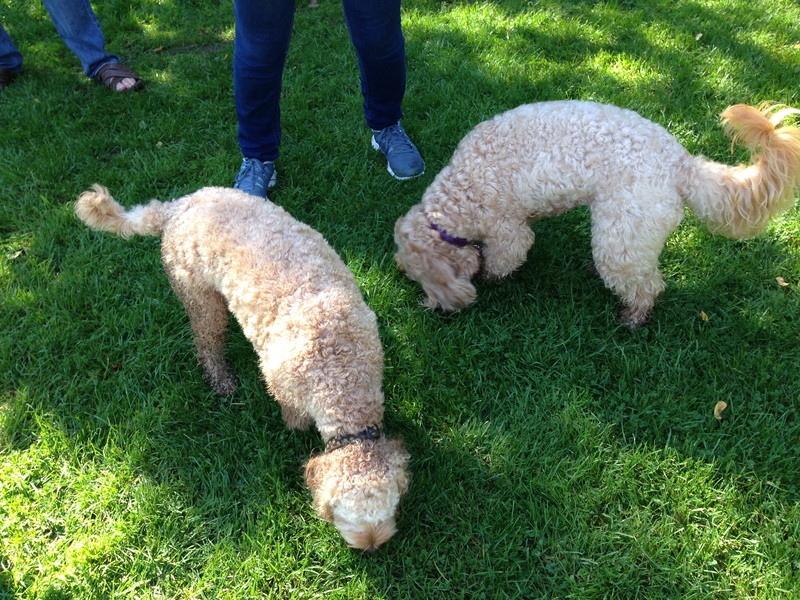 Rusty was being all boy – he ran into the pond and got all wet and then ran back up and rubbed himself on the dusty path!!! Mummy was terrified that I would do the same but she forgot I am all girl! 🙂 Besides I knew we were going to brunch so I would want to look half way decent. 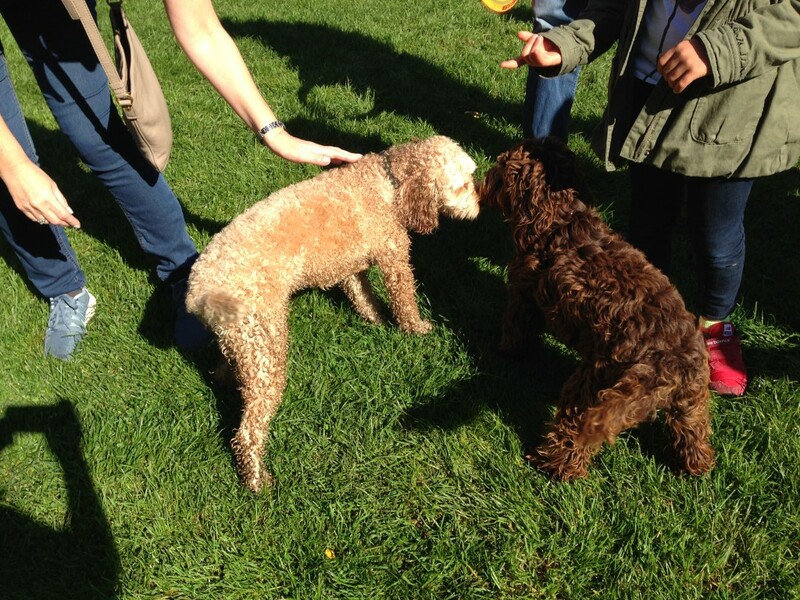 As we walked on, we met another cockapoo called Frida who is 9 months old, I think. 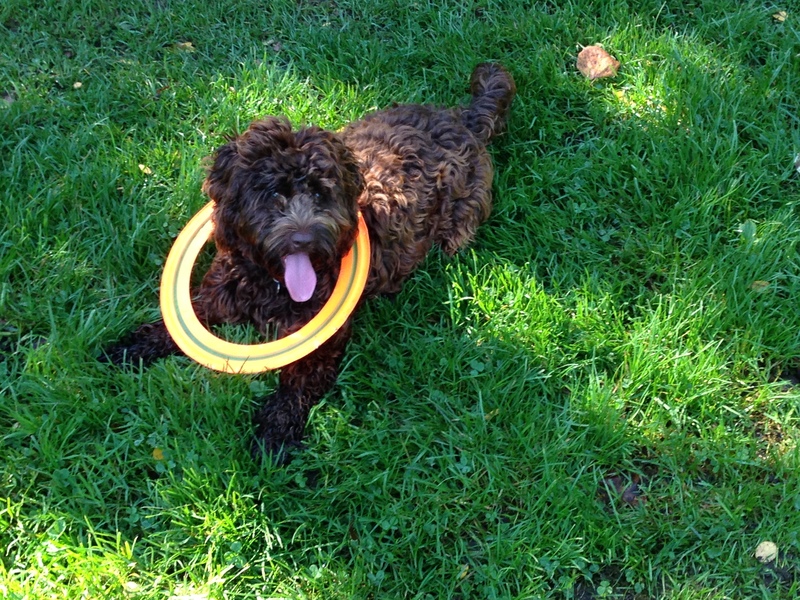 Frida could run really fast and loved catching her frisbee. I was more curious about possible squirrels in the bushes. Like we poos always do, we run all over the place and here’s Frida going in the other direction! 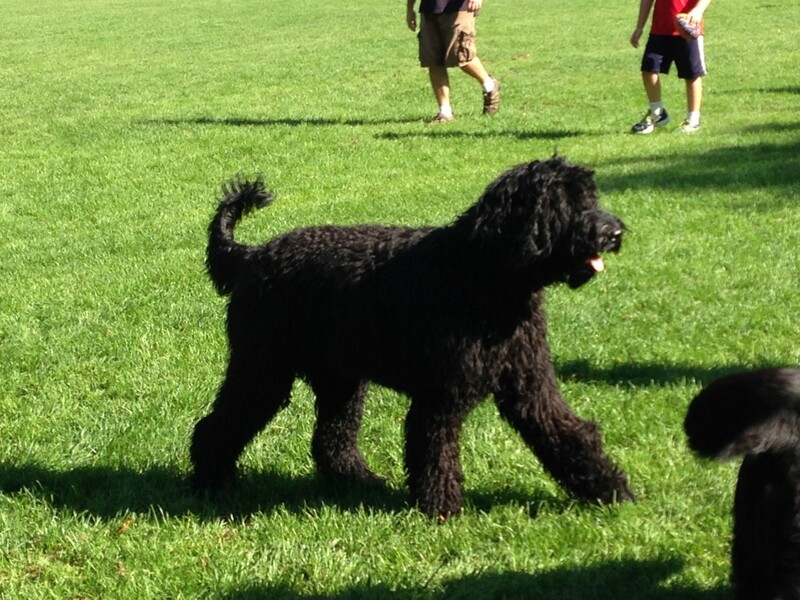 Then along came along a black GOLDENdoodle!!!! Ha! Ha! Ha! He was young and ran around the field picking up t-shirts much to the dismay of his parents. He didn’t know why he had to drop them! We soon left Hampstead Heath and walked to the village. 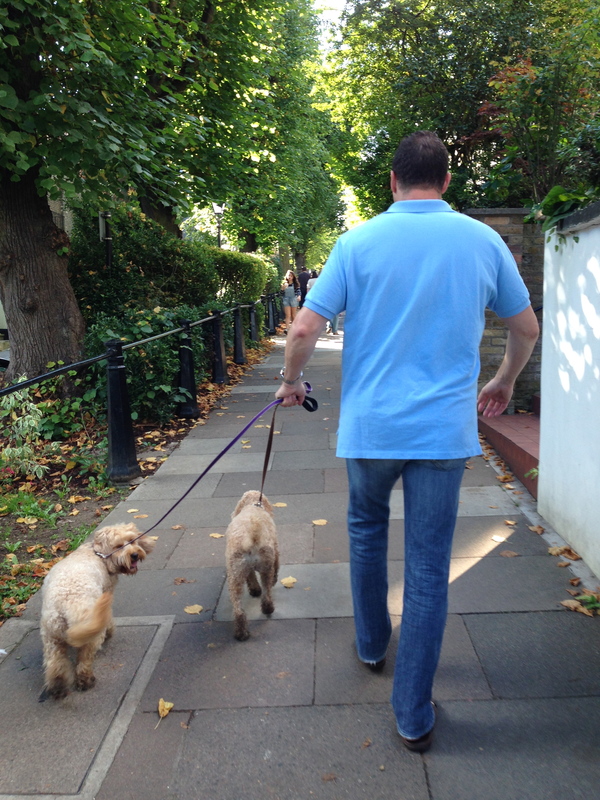 Here’s Jim walking Rusty and me.